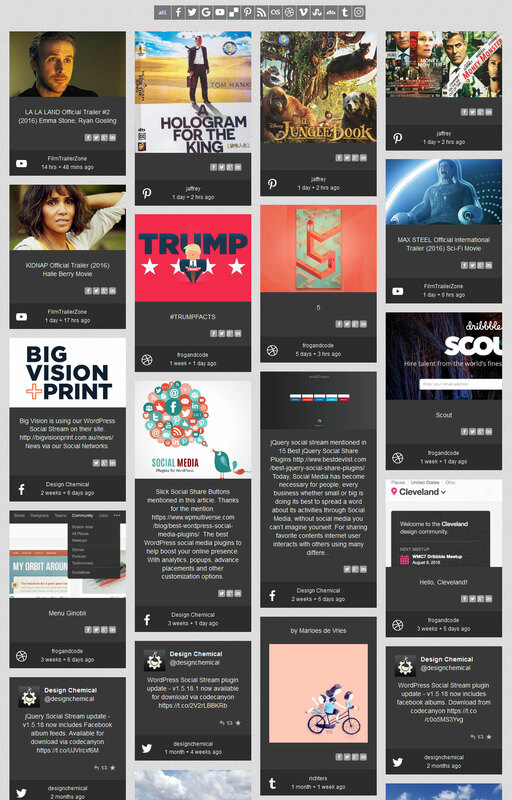 Can combine unlimited social feeds and create unlimited number of social streams. Feed items also include Facebook, Twitter, Google + and LinkedIn share links to make your social network streams more interactive, help promote your social network posts and boost your traffic! 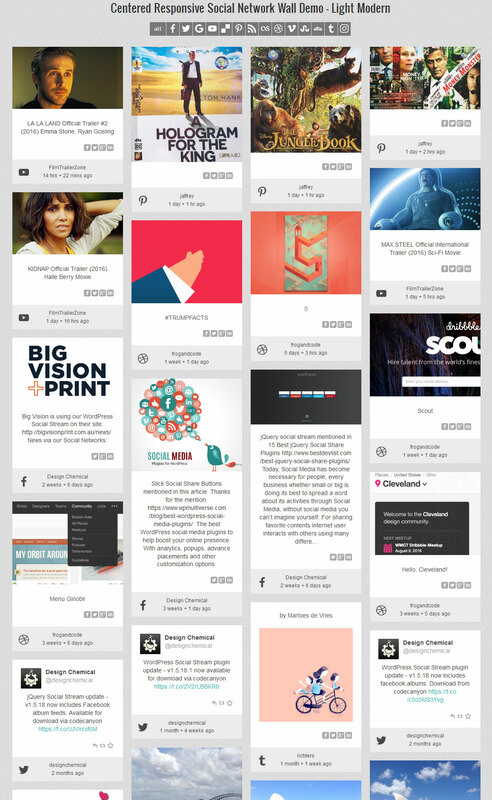 Looking For Social Media Plugins for WordPress? 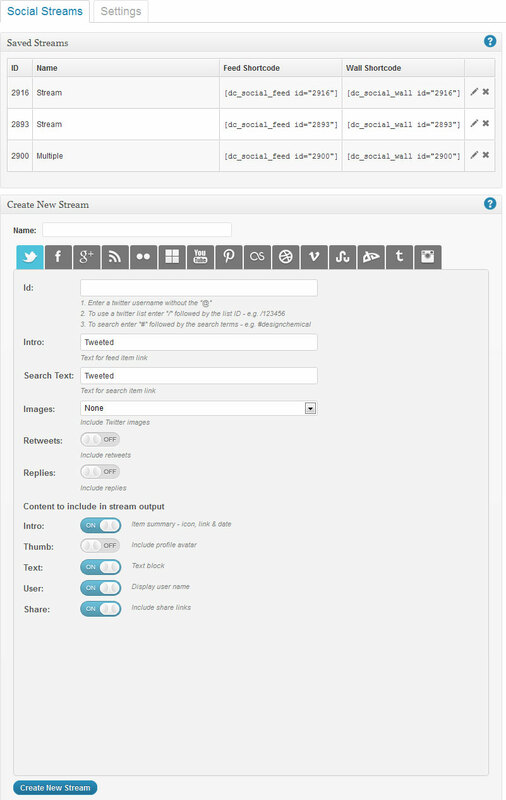 Create a stream based on total number of days or fixed number of items per network – note some social networks may limit the total number of results per feed. Can handle multiple users per network. Can handle multiple feeds per network. Rotating list with infinite loop – set direction & speed – both auto and manual. Option to add in user controls for feed slider. Option to add social network filter for user to disable/enable individual networks. Set each feed item output content and layout. Set network wall feed item widths based on % or fixed width. 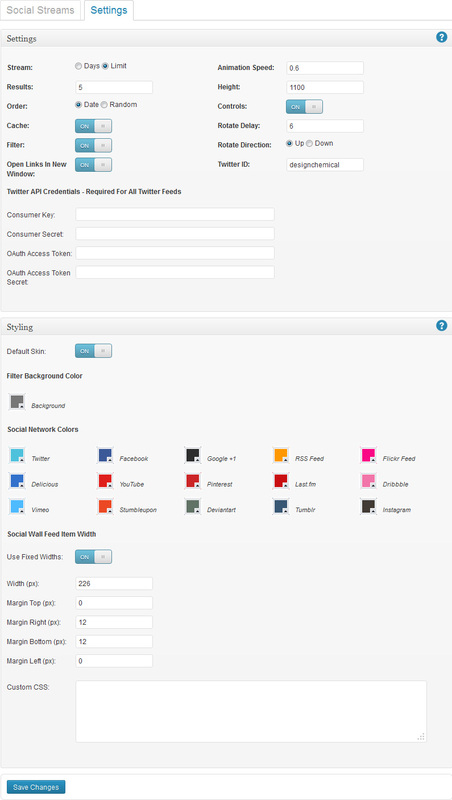 Quickly & easily customise social network colors via color pickers in plugin admin page. Option to disable Twitter retweets & replies. Option to display comments Facebook page gallery feeds.